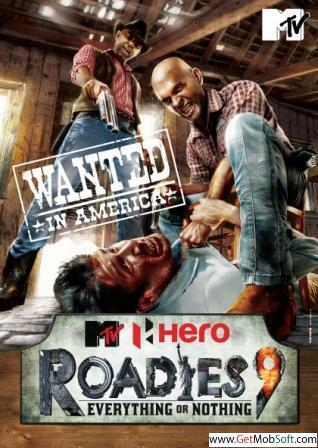 ‘Roadies’ is a reality show running into its ninth season in India. Any show that runs into its ninth season has enormous mass appeal and this one has got youth cult status. It started with a bunch of boys doing tough ‘tasks’ involving much physical endurance, hitting the road on their bikes and essentially surviving physical odds as well as political challenges of group dynamics. It is built on the classic ingredients of masculine appeal which cuts across every adolescent or middle aged man’s fantasy of biking, road trip, tough ruggedness and brawn. What provides the twist in an otherwise timeless tale is the personality of the host and creator of the show – Raghu. His process of screening and audition to select contestants for this reality show seems to be close to what in India is called ‘ragging’ and in some other cultures is called ‘hazing’. The aspirants go through, besides a group discussion and elaborate form filling, a personal interview. Raghu – short tempered, volatile, politically irreverent and liberated from any kind of political correctness that being on television demands – puts the aspirants through hell. He zeros in on their weaknesses, false selves, paltry defensiveness and posturing and proceeds to dismantle them ruthlessly in a bid to reveal their ‘true’ selves. Physical challenges such as doing knuckle push ups or head stands are employed to take the aspirants out of their comfort zone in order to break down facades. The intriguing bit is why are there thousands of young people in every city lining up to go through this experience which for most ends up being public humiliation on national television? They want to go through this and for most it is a test by fire that they want to go through; expecting a stronger and perhaps a ‘real man’ emerging at the end of this experience. They want to be judged and want Raghu’s verdict on who they are and what they are worth. Raghu does not come across as a bully but more as a tough father delivering home truths intended to chisel and bring out the real man. Clearly this brand of parenting which is directive, ruthlessly disciplining and offering a certain amount of authoritative resistance that an adolescent can go up against and resolve his final bits of identity formation which have gone missing. Obviously traditional patriarchs are being missed by the kids. They have nothing to go up against and test themselves and the limits. Is there an overdose of non-directive, organic ‘discover for yourself’ feminine nurturance which does not make enough use of parental authority? When ‘ragging’ or ‘hazing’ are experienced as rites of passage; what does it say about this generation’s life experiences? They have to search far and wide for a piece of resistance against which they can sharpen their identity and sadly this is the defining and toughest experience of their lives. This reality show has some very real responsibilities. The host is the guiding light and fills in for fearless authority figures while a staged road trip is a simulated coming of age experience for a whole generation. This is a really interesting theme…in British culture, Simon Cowell occupies a similar space as symbol of patriarchy. But the difference is that his power is dramatised in terms of making/breaking women’s lives/careers – e.g. the hiring/firing dramas surrounding co-stars like Cheryl Cole, Paula Abdul, and so on…British popular culture seems to love the drama of his patriarchal power over women – Cheryl in tears! Tulisa is safe! Paula gets dropped! – without ever questioning the gender politics behind it.